So you’re thinking of going digital, but what’s the best drawing tablet for you? And, once you’ve unpacked your shiny new gizmo, what’s the best drawing software to use? With so many makes and models to choose from, it’s no surprise many artists feel a bit bewildered at first. And there’s also the issue of cost to consider. After all, not everyone is in a position to splurge thousands on a top-of-the-range drawing tablet, right? But worry no more, fellow creative types! We’ve taken to our Twitter and Facebook pages to ask everyone about their favorite graphics tablets and drawing software. What follows is our ultimate guide to the best drawing tablets and software on the market – as voted for by artists just like you. 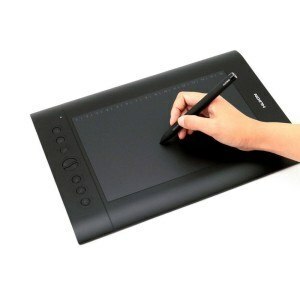 What’s The Best Drawing Tablet For Your Art? Do you want to buy a standalone device that you plug into your PC? Or, do you go for a device where you draw directly onto the screen, such as an iPad, Google Nexus, Samsung Galaxy, or a Microsoft Surface? 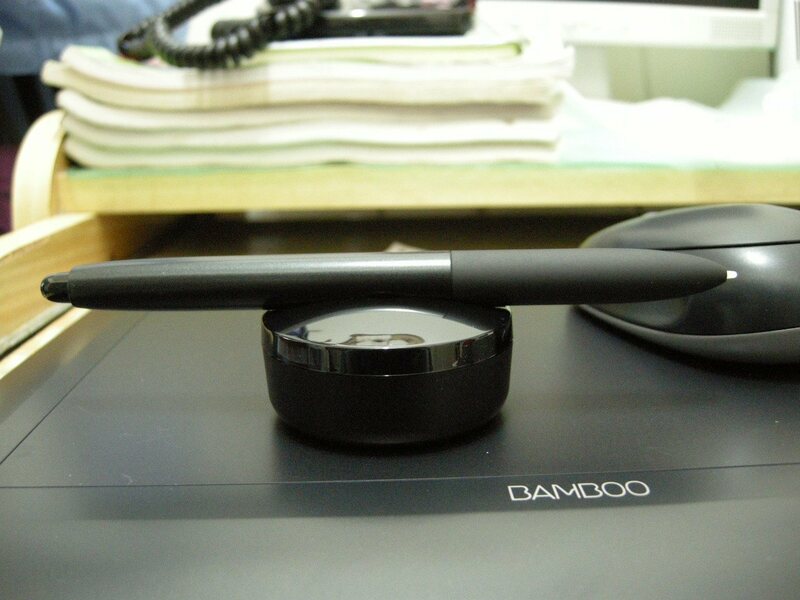 Previously known as the Bamboo Fun and Touch, this is an ideal drawing tablet for anyone looking for an affordable way to go digital.It’s ideal for drawing and painting and, with the additional purchase of the Wacom Wireless Accessory kit, can be hooked up to your PC or Mac without any pesky cables to get in your way. But, do you know what’s even cooler? With 2048 levels of pen pressure sensitivity, a larger surface area, and a lower price, the Huion H610 Pro offers some serious competition to its Wacom rival. 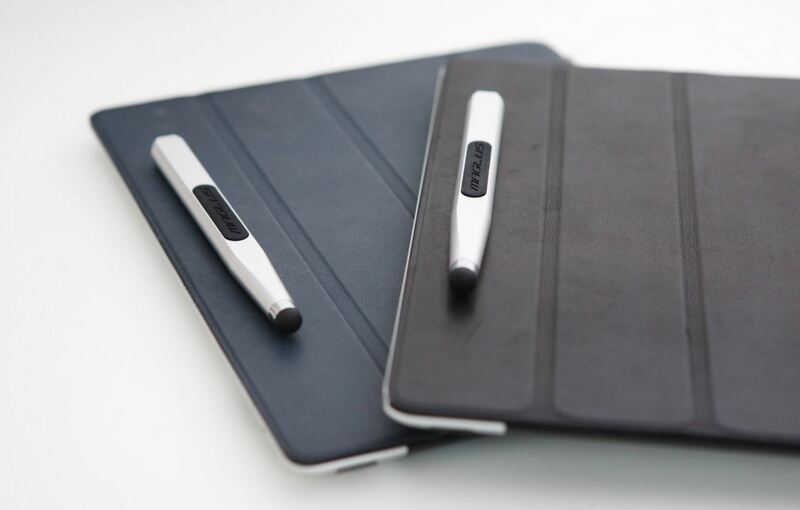 It’s also got a neat rechargeable pen, which users report has a super-long battery life. There’s no wireless capability, but you might decide this isn’t all that important to you after all. Although it doesn’t come with any free drawing software, it’s compatible with Photoshop and most other popular drawing programs. And, according to reviews on this product’s Amazon page, using the surface and pen make you feel as if you’re drawing on ‘lightly buttered glass’! With glowing reviews like this, we’d say this drawing tablet is certainly worth a look. Another well-priced contender for the Wacom crown, this drawing tablet also works fine on PC or Mac and is compatible with all the most popular drawing programs.It comes bundled with what one reviewer describes as a ‘surprisingly good sketching program’, and also some spare nibs for when yours eventually wears out – these are stored in a handy compartment in the bottom of the pen holder supplied with this tablet. So Which of These Graphics Tablets Should You Buy? Richard Warner (@Iron_Vein) is a metal sculptor based in Wales, UK. When he’s not creating cool stuff for people’s gardens and nature parks, he loves to learn digital art on his trusty Wacom Intuos 2. Although this model has been discontinued, you can still pick them up on Ebay for a steal. MoKe (@moke_rs) is a young artist from Brazil. He’d love a Cintiq (we’ll come to this later), but is pretty happy with his Bamboo Pen and Touch (now called Intuos) for now. Roo (@SketchesbyRoo) is an artist and illustrator from Ohio, USA. Like MoKe, she’d love to get her hands on a Cintiq one day, but loves using her Bamboo Capture Pen and Touch for now. She’s also pretty happy with her Microsoft Surface (more on this shortly). 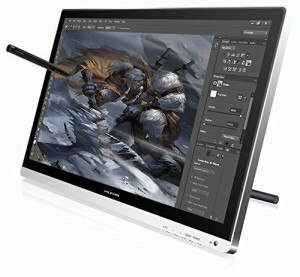 If you fancy going upmarket or just want to upgrade your existing drawing tablet, there are several awesome products to consider. 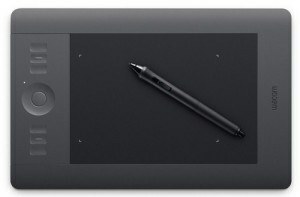 With 2,048 levels of pressure sensitivity in the pen and tablet tilt-recognition, this neat graphics tablet is described as meeting ‘the exacting standards of creative professionals’.It comes in three sizes – small, medium, and large, and there’s also a swish-looking special edition in silver if you want to bring some bling to your drawing experience! Coming in at around $817, this Huion tablet may be less well-known than its rival, the Wacom Cintiq, but that doesn’t mean it isn’t packed with ultra-epic features. For starters, there’s a stunning HD 21.5 inch display to work on and 2,048 levels of pen pressure sensitivity. Being glass, the screen is incredibly smooth to draw on, and this graphics tablet works fine with just about any software you can throw at it. Most users agree it’s not quite as good as the Cintiq, but with a price difference of around $1000, you might be more than happy to put up with any minor shortcomings. 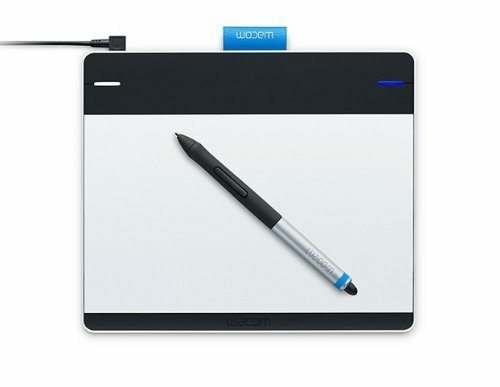 Ah, the Wacom Cintiq – the object of desire for many a digital artist. But is it really worth the hefty price tag? With the smallest model, the 13HD, setting you back around $996, and the largest, the 27QHD costing a cool £2,889, it’s no wonder many artists wait until there’s plenty of freelance cash rolling in before deciding to upgrade. It’s probably fair to say the Cintiq is the industry standard for most professional digital artists, but that doesn’t mean you’re guaranteed a completely flawless art experience. Some users report issues with the Cintiq’s ExpressKey Remote Touch Ring not working, while others say Wacom customer support can be almost unreachable unless you take to Twitter to complain. However, despite these gripes, most users say the look and feel of a Cintiq is simply way better than any other drawing tablet you can buy. 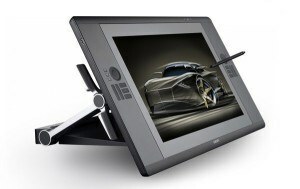 Is The Cintiq The Right Drawing Tablet For You? So, in the end, it boils down to economics. The Cintiq may take the crown for being the ultimate drawing tablet of choice for many artists, but it’s really a question of whether you have the money, or actually want to invest so much of it in a top-of-the-range piece of drawing heaven. Our advice? 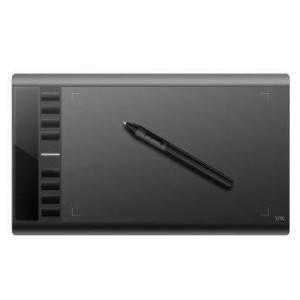 If you’re just starting out, or if you’re an intermediate artist, you’ll be just fine with one of the graphics tablets under $100. Remember, all the technology and/or money in the world won’t make you a better artist – only practice can do that. However, if you decide to upgrade a few years down the line and want a piece of kit that truly matches all your expertise, then it looks like the Cintiq really is the artist’s ultimate drawing tablet of choice. What’s the Best Drawing Software For Artists? Since its launch in 1988, Photoshop has grown to become pretty much the industry standard for artists everywhere. All the artists on Pencil Kings use it, and it’s pretty easy to see why. It’s packed with just about any feature you could possibly wish for, and a truckload of other features you probably never knew existed! Check out our Ultimate Guide to Photoshop by Sycra Yasin to give you an idea of the endless possibilities available to you as an artist. Described as ‘the standard in Manga and comic illustration’, Manga Studio 5 is a great alternative to Photoshop – particularly if you don’t fancy signing up to Adobe’s monthly subscription. Check out this video of Manga Studio 5 in action – impressive, huh? Corel painter is probably as close as you can get to the look and feel of traditional artists’ materials when drawing or painting digitally. Although it doesn’t have the same kudos as its rival, Photoshop, this software is definitely worth a look if you’re a traditional artist looking to swap paintbrushes for pixels. Oh, and it’s also much less expensive. Money’s Tight. What’s the Best Free Drawing Software? Gimp This open-source alternative to Photoshop has been around for a few years now, and comes with a wide range of tools and features to get you started. 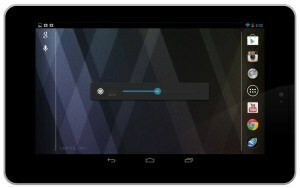 It also supports a wide range of formats, such as .jpg, .png, .psd, and .gif. Inkscape If vector graphics are your thing, then you should definitely give this open-source software a try. There’s a whole bunch of drawing and coloring tools to choose from, and some neat features such as a spray tool which allows you to quickly and easily spray several items at the same time. 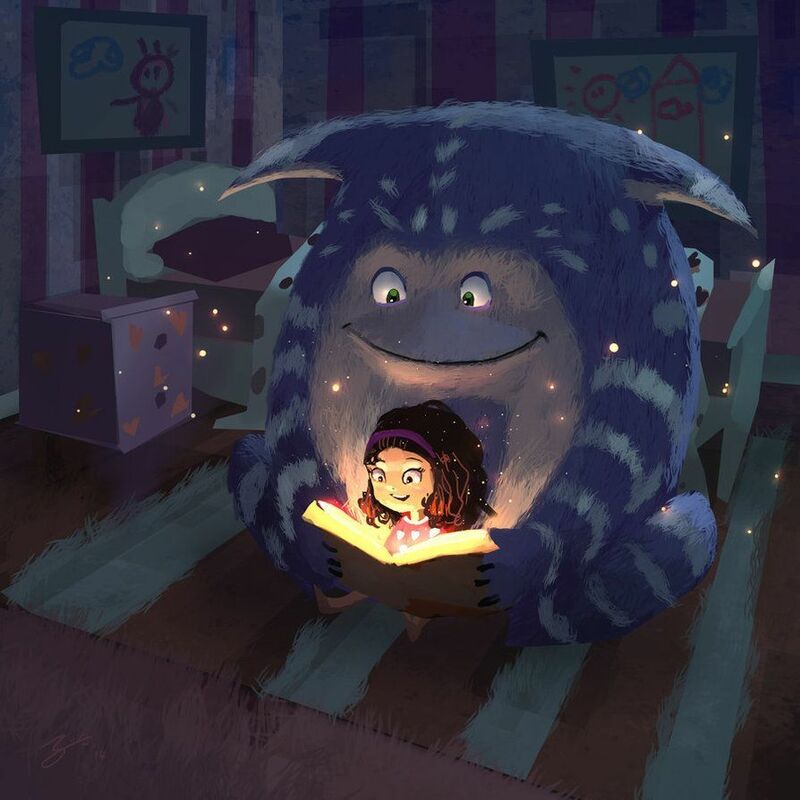 Krita Now this free software for artists and illustrators looks really interesting. It’s got a great-looking interface, a superb range of brushes, filters, and plenty of other cool tools. Need more recommendations? Krita received the Imagine FX ‘Artist Choice’ award in January 2015 – we’d say that’s high praise indeed! Demo Versions of Paid Software Most of the major paid software packages have demo versions which are free to download. Check out the main pages of each one for more info. So we’ve looked at standalone graphics tablets, but what about if you want a device that’ll let you surf the web, send emails, and allow to capture your ideas when inspiration strikes? 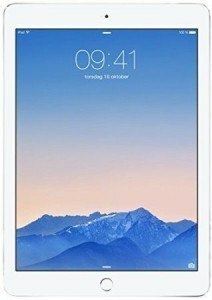 With its 9.7 inch display, ultra-slim looks and immense processing power, this latest release (April 2015) from Apple is certainly a tablet to be reckoned with. And, since it claims to have the ‘least reflective display of any tablet in the world’, its easy to see why so many artists have made it their portable electronic sketchbook of choice. Although you can download Photoshop Elements Express for free, you might want to check out the extra creative power on hand in this intuitive app. If you’re already familiar with the full Photoshop package, you’ll instantly recognize the Toolbar, and this app’s super-smooth interface should have you creating using your fingertips in no time at all. 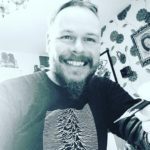 There’s full support for the iCloud photostream and some neat features which allow you to share your awesome art on social media with just a few swipes. With pressure-sensitive controls and a vast range of professional quality brushes and pencils, it’s easy to see why this app remains a firm favorite among many artists. Just like in Photoshop, you can work in layers to build up your drawings and paintings, while there’s even the option of exporting your work as a layered Photoshop file if you want to transfer your art to your desktop. Put simply, ArtRage is just about the most fun you can have while painting…without getting a single splash of paint on your sneakers! Choose from an endless array of brushes and drawing tools, and lose yourself in this app’s incredibly powerful blending options, where you get to mix oils or watercolors on the digital canvas just as you would in real life. With all these ‘traditional’art features so cleverly transposed to digital, we reckon ArtRage is a great choice for anyone who loves the feel and looks of real paint and other art materials. There should be plenty to whet your creative appetites here, but if you want to take your art studies further, there are also some great human anatomy apps available, such as L’Ecorché, MARA3D, and Muscle Premium. Here’s a video showing Fresco Paint Pro in action – we think it looks pretty epic! It’s been touted as the ‘tablet that could replace your laptop’, but is the Microsoft Surface really the all-singing, all-dancing device that could be the answer to all your creative needs? Well, most reviewers seem to think it’s doing a pretty good job so far. Having been billed as a rival to the iPad Air, the Surface Pro 3 has a whole bunch of features, such as a 12 inch display, a much-improved keyboard (previous models were somewhat lacking in this respect), and a new stylus which tracks your movements on the screen more accurately than ever before. There are five versions of this stylish tablet to choose from, depending on what spec you require, with the 64GB Intel Core-i3 retailing at $799, the 128GB Core-i5 at $999, the 256GB Core-i5 at $1,299, the 256GB Core-i7 at $1,549, and finally, the whopping 512GB Core-i7 at a cool $1,949. 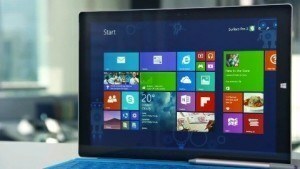 If cost is a factor, it may be worth considering a previous model, such as the Surface Pro 2. While this won’t necessarily have all of these shiny new features, it’ll certainly be more than capable of delivering the goods. So there’s the verdict. If you don’t fancy shelling out your hard-earned cash on the Pro 3, you’ll probably find the Pro 2 will do the job almost as well. Alternatively, if you want to get your hands on the latest model to hit the shelves, you might want to wait for the Surface Pro 4. It’s scheduled for launch any time between March and October 2015. “I had issues on getting the perfect stylus for my hand. Every one I’ve bought didn’t seem to work out. The Jot touch Evernote kept on losing Bluetooth connection and even Wacom’s didn’t manage to do the trick. I have, like, six styluses and only two of them were cheap. But I found the one that is better than the rest a few months back and I recommend it because it’s so cheap and the guys there are awesome. So there it is – our ultimate guide to drawing tablets and drawing software. If you enjoyed reading this post, why not let your friends know about it? You can click to tweet it right here. We’ve tried to cover just about everything we think you guys could need, but we’d love to hear from you if you think we’ve left anything out. Perhaps there’s an awesome tablet we haven’t listed, or an epic piece of free drawing software we haven’t covered? Just drop us a comment in the box below and help share the love of art! Great list! Mischief is another great program to sketch in and it’s only $25 – https://www.madewithmischief.com/. You could also get a full subscription to Adobe’s creative cloud which is a pretty good value ($49/mo) or if you’re only looking for Photoshop you could get the Photography subscription bundle for only $9.99/mo and it includes Photoshop and light room. I think they even offer student discounts on some of the full subscriptions. Anyway just another alternative, I tend to like adobe’s new subscription base pricing rather then buying the full software bundle since I use a lot of different adobe apps , plus you always have the most up to date version this way. Cheers & Happy Creating! Have you guys seen Astropad? It’s a great new little app that essentially mirrors your computer onto your iPad making your iPad a pretty great drawing tablet. I’ve only had a quick play on it, but it looks like it might be a great solution for the Mac/Ipad users: https://astropad.com. I second Mischief it’s a fantastic application! Great for beginners as it is rather streamlined and easy to use without instruction, yet the depth of options are still there missing the confusion that can come from other applications. Plus it has an infinite canvas, which is just brilliant for sketching out ideas and just playing with no need to stop your flow to load new canvases. I guess almost every digital artist has the dream owning a cintiq…one day. An interesting and comprehensive look at Digital Drawing. MOst impressive. I am currently focused on pencil drawing and sketching bor the efoortut never knows what will b down the road. Thank You for the effort. I just want to point out that GIMP is far from a new kid on the block, having been around for 20 years now. It isn’t quite as powerful as Photoshop (it doesn’t, for example, support CMYK), but it is still far more powerful than many would expect a piece of free software to be, and it does sport some features that Photoshop users have been desiring for years. I would suggest starting there and exporting your work to Photoshop when you outgrow GIMP (assuming you ever do). Love this article!! I’m trying out the iPad apps that were noted, and they’re pretty good so far! Krita is an amazing program, I’ve been using it for a while and I’m loving the interface and the brushes, and how FREE it is! GREAT article overall. What no-one has mentioned here about Mischief – which I also highly recommend – is that along with the infinite canvas there is also a near-infinite ZOOM into and out of the canvas (actually something like 17 Trillion to 1), and EVERY drawing tool is vector based. So, with NO pixelation, you could draw a figure, zoom into the eye, draw a planet, zoom into the terrain, draw a city, zoom into the city streets, zoom into a figure…. and on and on. Literally. Yes, sketching with vectors is the best. And it is not at all complicated. Very minimal, in fact; some would say too minimal but I like it. However, last time I checked this definitely does NOT run on a tablet. You would need a laptop (or Surface? ), but not an iPad or Android tablet.